This time, I’m writing directly to the depressed. If you’ve been diagnosed with depression, if you think you may be depressed, if you’ve been depressed before and you’re recognizing the symptoms of an impending episode, this is for you. Just a tiny disclaimer,though, I’m not saying that taking these steps will guarantee that you’ll be perfectly okay in the end. I’m not saying that you can stop taking your meds (if you have a prescription) and/or that you can stop talking to your therapist/shrink. These are things that helped me whenever I feel the blues creeping in. They are simple and practical. I won’t tell you to look into yourself or anything abstract like that. I know how frustrating it can be for people to give you this advice, “Just choose to be happy!” like it’s something that you wouldn’t instead of couldn’t do. This is a list of things you may not want to do right now, but you should consider doing. 1. Stop reading books and watching telenovelas, dramatic TV shows, sad movies, any video with a dark theme. Human beings have a natural tendency to identify with character/s in anything they watch. We also have varying degrees of the gift of empathy. This means that you will, probably even more than the average person, experience the emotions of the characters you see onscreen. If you see the lead character’s life crashing down, it’ll only take you a few moments to physically feel that your world is crashing down, too. Take a step back and examine the kind of fictional characters you’re letting into your head and heart. I’m not saying that you should NEVER read The Child Called “It” or watch 12 Years A Slave. You’ll have the rest of your non-depressed life to do that. Okay? 3. Eat what your body needs. Now, I’m not telling you to eat your way out of depression by gorging on junk food or getting sugar highs. I’m not asking you to choose diabetes over depression, okay? Stay away from fast food. If you watched Supersize Me, you probably still remember how Morgan Spurlock, after 5 days of the McDiet started to experience symptoms of depression. He described the initial high that you feel while stuffing your face with fries which is followed by a sinking feeling after you’re done eating. Breakfast: Have an omelet or fried egg for breakfast. Egg has protein and B vitamins that can help your brain produce more serotonin. Plus, you have the sun on your plate. Lunch: Bright green salad with pieces of fruit. Don’t settle for the boxes of wilted lettuce that you can get from convenience stores. Those make me even sadder than I already am. Just bring the entire head of lettuce, strawberries, and an apple with you when you go to work. Then, you can just put them all together at lunch time. Those are good sources vitamins. Add almonds and other nuts for extra minerals. Then, after finishing all your greens, you can reward yourself with a tiny bar of dark chocolate for a healthy little sugar kick. Snack: If you must munch on something, munch on something a rabbit will. Try carrot sticks or, if you have good teeth, an entire peeled carrot. You can also snack on nuts and dried fruit. Avoid anything with too much of anything like chips (too much salt) or candies (too much sugar). Dinner: Fish or Steak please. Your body needs Omega-3 fatty acids that you can get from most fish. This is what your body turns into happy hormones. Red meat can give you Phenylalanine, Tryptophan, and B vitamins which are good for your brain. Here’s another piece of advice. This may be a bit unconventional, but it works for me. Be aware of your sugar levels. Don’t aim for a sugar rush. I know it can make you believe that you’re happy for a bit, but there’s a sugar crash that follows. That’s something you may not be psychologically able to deal with. But, if you feel like you need an upper, a can of soda can do the trick. Of course, it’s better if you have a fruit smoothie instead, but if it’s not readily available, just down a can. Just make sure that it’s just one can, okay? Ice cream can also be a quick fix. Just don’t eat the entire tub. And, make sure that you follow it up with something healthy after a few minutes. That way, your sugar level can settle down instead of plummeting down. 4. Move! The worst thing you can do right now is to shrivel up and die in a corner of your room. You need to move. Get up. Walk around. If you can, exercise. I think the best and cheapest thing you can do is dance. Yep. I know you may not feel like it, but there’s a chance that it’ll work. Play Pharrell’s Happy. Psychology tells us that attitude and behavior are related. Behavior can influence attitude as much as attitude can influence behavior. Just get up on your feet, jump around, flail your arms like a primate. The sillier your dance is, the better. Don’t be ashamed. Don’t be afraid to laugh at yourself. It’s okay. You may not think that it’s good for you, but your body is made to move. 5. Look at your reflection on the mirror and say, “You’re awesome!” You don’t have to believe it the first time. The very first time that I forced myself to do this, I actually cried like one of those characters in a black and white, artsy-fartsy, Indie films. That’s okay. Just keep doing it and one day, you may find yourself nodding and smiling in agreement. If you were able to convince yourself that you are a g0od-for-nothing failure even when there are people around you who disagree, then you sure could convince yourself otherwise. It may take time. It won’t work every time. There will be days when you can’t get the words out of your mouth, but don’t stop. Psychologists studied the power of expectations. We know that people usually turn into the person they are expected to be. 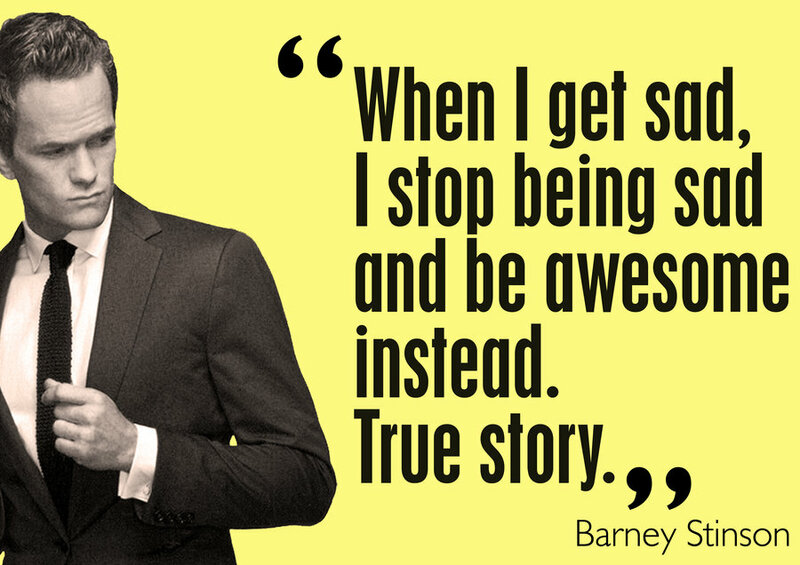 So, tell yourself that you are meant to be awesome. I also hold to the definition of identity as something we turn into and not something we find within ourselves. This means that we have to stop looking for what’s awesome within us. We know how these critical self-examinations can turn into self-loathing. Don’t look inward. Look outward and turn into someone awesome.